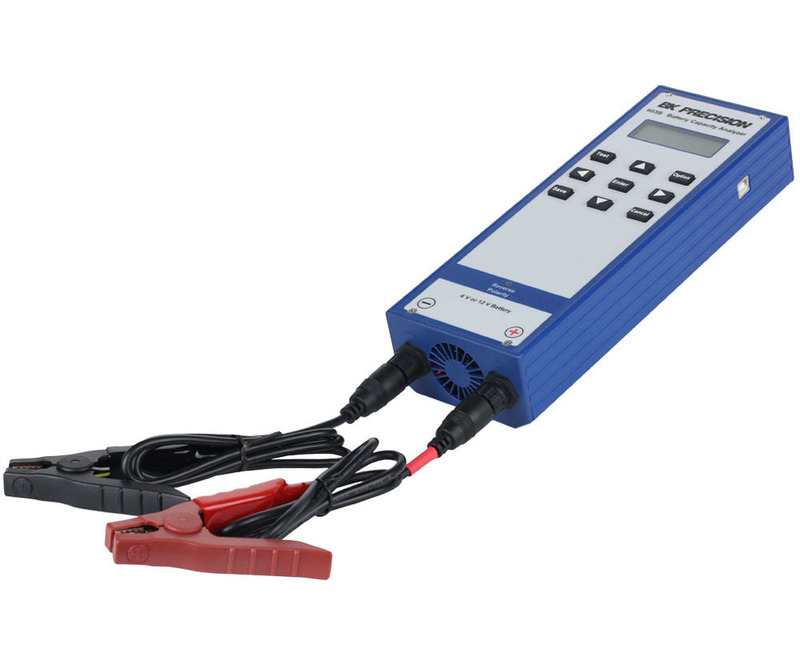 The 603B handheld battery capacity analyzer tests 6 and 12 volt sealed lead acid batteries with capacities up to 100 ampere hour (Ah). 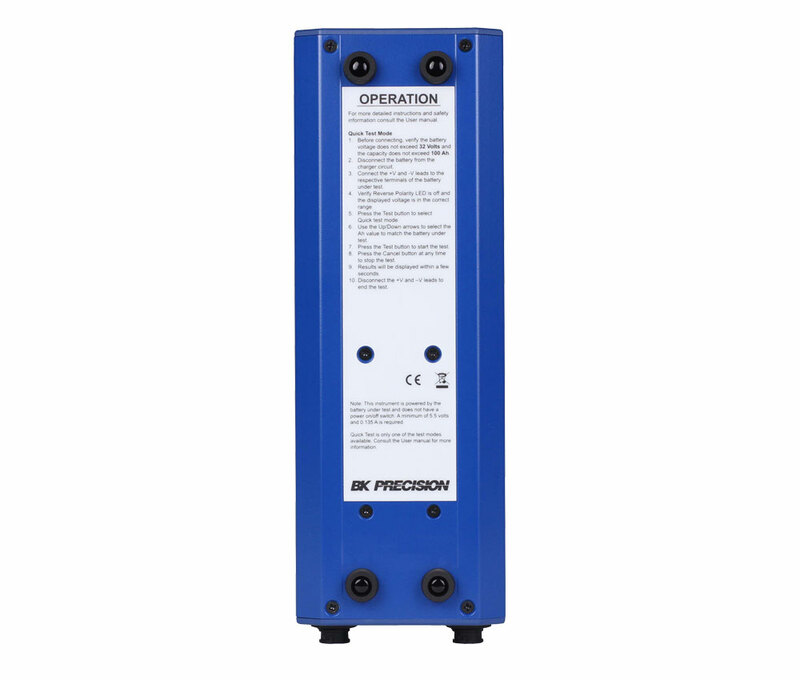 Test results include voltage, state of charge, and internal resistance. 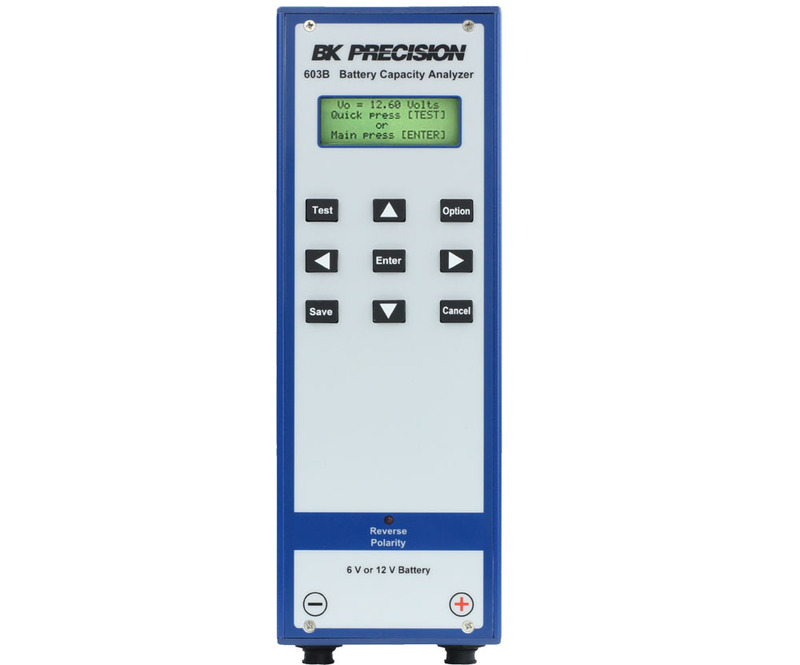 This analyzer also features a built-in USB port and internal memory to store battery information, test configuration, and measurement results for up to 50 batteries. 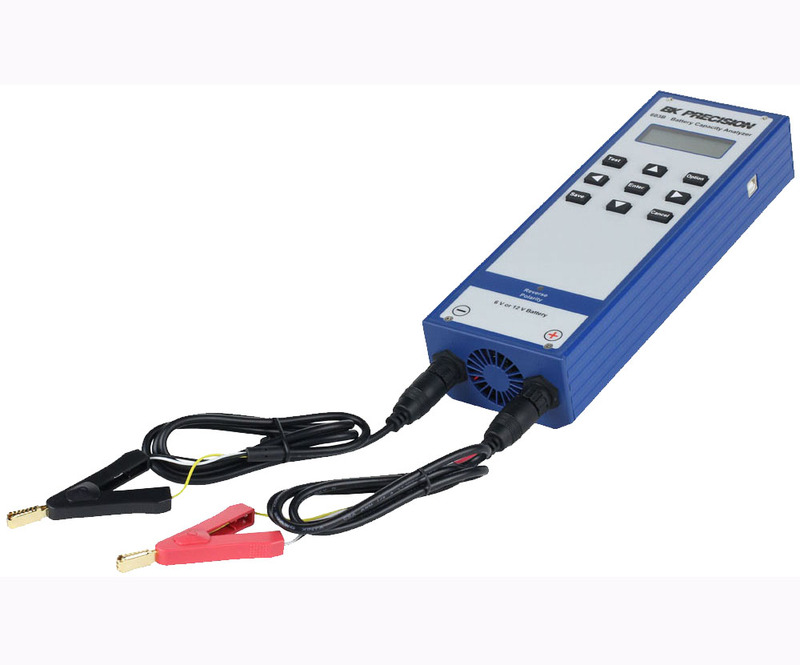 This analyzer is an ideal choice for testing sealed lead acid batteries commonly used in intrusion detection, fire alarm, security camera, access control, industrial control and other battery backup systems.